Step into the most luxurious home ever built in the masterfully planned gated community of lakoya in lely resort. From the moment you drive up to this perfectly placed home youll be captivated. 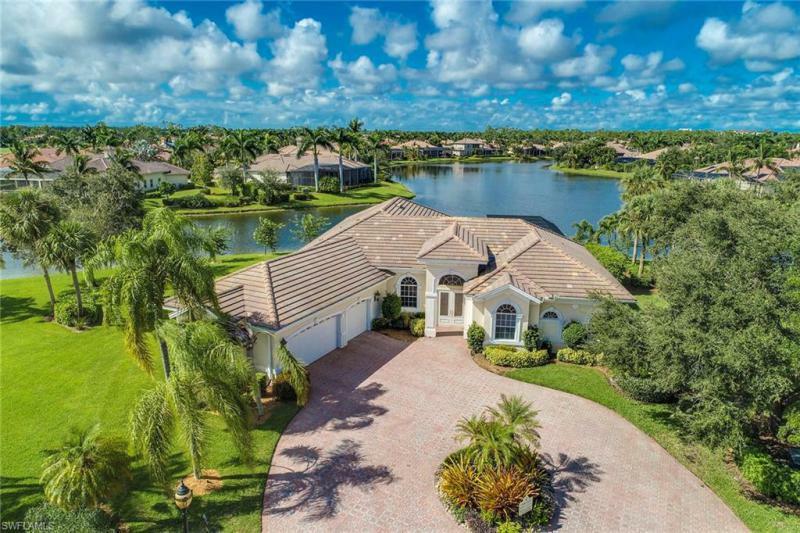 Situated on an oversized pie-shaped lot, taking full advantage of both morning & afternoon sun & the breathtaking lake view; this is one of the best homes in this price range in all of naples. There are too many upgrades to name them all. The gourmet kitchen features a 5-burner gas stove & a walk-in pantry; it opens to a casual family room which boasts double coffered ceilings & pocket sliders. Additionally the salt water pool is surrounded by limestone pavers & looks out through a massive portrait screen onto the peaceful backyard and beautiful lake & fountain! Theres a summer kitchen for al fresco dining & a 3 zone sonos system, central vac, reverse osmosis, 2 zone a/c unit & impact glass throughout as well as electric shutters on the lanai! The list goes on & on! The backdrop is neutral throughout, waiting for your personal touches. Everywhere you turn you are aware of the craftsmanship and attention to detailthis home is just right for your most discriminating client. Water, water, water from this stunning unobstructed south-facing property. Check out the infinity pool that seemingly pours into the fountained lake through a picture screen cage -- complete with night lights in a variety of colors and 2 fire bowls! Another outdoor area features spacious seating with mounted tv and a fireplace. The grill center completes this impressive outdoor entertainment area. And all this is before we even start to tell you about the inside of this model-like four plus den, 4 1/2 bath home. The doors to the very open living area of this riviera floorplan pocket back bringing the breathtaking outdoors indoors, and nearly every bedroom has a water view. Lakoya is associated with the stunning players club of lely resort which features tennis, impressive water fall pools, indoor & outdoor dining, bocci, a gigantic fitness center, tons of activities, and so much more. Love golf? Choose from a private course and/or two semi-private venues, each with their own dining. See this home and you won't be disappointed. Best of all it is only about six miles from the white sand beaches of naples, as well as the dining and shopping meccas of 5th avenue so & 3rd street south! Located in the private prestigious classics plantation estates community at lely resort, this former ponte vedra model home situated on an oversized lot has amazing private peaceful lake and golf course views. This four bedroom plus den, four and half bath impeccably maintained estate pool home is loaded with travertine flooring, impact windows and doors, electric hurricane shutters, buried propane tank, vented outdoor kitchen, and picture frame pool cage to name a few. The gourmet kitchen is loaded with custom trimmed out cabinetry, granite countertops, stainless upgraded appliances and walk in pantry. Peaceful outdoor living is at its finest from the large screened in rear private deck and pool area. Enjoy the highly renowned players club and spa which offers resort style swimming pools with waterfalls and kids area, state of the art tennis facility, 3500 sq. Ft. Fitness center, restaurant, tiki bar, pool room, theater room, and spa. Lely resort is also home to three championship 18 hole golf courses. New seller bonus! Do not miss this must-see, luxurious and captivating estate home in the prestigious, gated classics neighborhood of lely resort. This arthur rutenberg home features a spacious open floor plan that seamlessly flows to the inviting lanai area with its beautiful and expansive lake views. Extensive landscape lighting allows you to appreciate the palms, agaves, and bromiliads day or night on the tranquil cul-de-sac setting. Granite counter tops, upgraded (slow-close) cabinets, and extra large walk-in pantry are just a few highlights of the chef's kitchen, and the fully-outfitted outdoor kitchen is ideal for entertaining. The 3-car garage with overhead storage racks makes storage easy as do the over-sized master br closets with built in shelving and dressers. Offered furnished (with limited exclusions) and impeccably maintained, the current owners have made numerous additional updates throughout the home including recent interior and exterior painting and a saltwater pool conversion. Home warranty through october 2022 will be transferred. Players club is optional, and both it and the classics country club with its access to 3 18-hole championship courses are nearby. One of the largest lots and one of the biggest pools in all of lely resort! This wonderful custom-built home sits on an extra-large lot with tons of privacy and lots of green space. This well-maintained, clean 3-bedroom, 3-bath home has a magnificent heated pool and spa with custom rock and sun deck. Inside the home are custom ceilings in the family room, master bedroom and dining area, large tile, wood flooring in the den, and 3 car garage. Lely resort has 3 championship golf courses and the award-winning players club & spa. 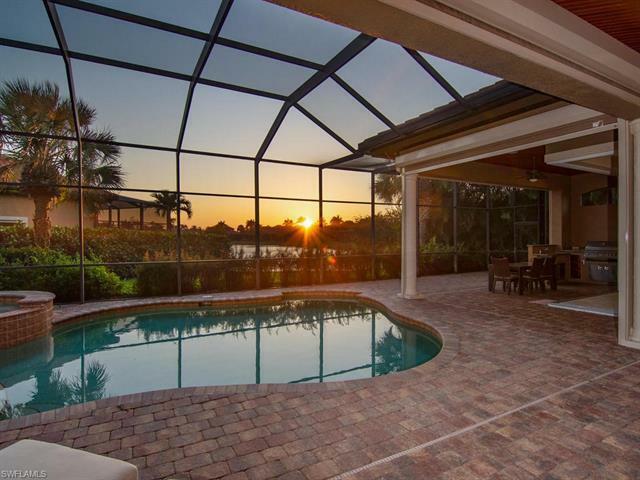 Come enjoy the magical private sunset views from this well appointed professionally decorated westchester estate turnkey home located at the tip of a long lake within the double gated majors at lely resort. This 5 bedroom plus den, 5 bath updated and remolded home features electric screen hurricane shutters, full summer kitchen, gourmet kitchen, fresh paint, double master bedrooms, wood plank lanai ceiling, elegant chandeliers, upstairs balcony and much more. Enjoy the highly renowned players club and spa which offers resort style swimming pools with waterfalls and kids area, state of the art tennis facility, 3500 sq. Ft. Fitness center, restaurant, tiki bar, pool room, theater room, and spa. Lely resort is also home to three championship 18 hole golf courses. 3rd price reduction! This magnificent remodeled home in the classics has some of the most spectacular panoramic lake views in all of lely resort. The oversized lot is located at the end of a quiet and private cul-de-sac. The family room has pocket slider doors that open up to the lanai which is designed for entertaining with its sparkling infinity edge pool and private spa with breathtaking views of the lake. The kitchen features an induction stove, wine cooler, large island, white cabinets, stainless steel appliances and new granite counters. The huge master bedroom has lighted try ceiling with crown molding leading into the master bath oasis with large walk-in shower and jacuzzi tub. Some of the many upgrades in this home include huge tile in all of the living areas, new luxury carpet in all of the bedrooms, plantation shutters throughout the home, fresh paint, upgraded lighting, and much more. The 3 car garage has an air-conditioned storage room that could also be used as an exercise room or office. The award-winning players club & spa is not mandatory but is available. H. 14494 - live life beautifully in sw florida in a dream rental home located in the prestigious classics of lely resort. This home has 2 queen beds and 2 full beds which allow 8 people to sleep comfortably. Heated pool and spa with outdoor kitchen gives an effortless feel to entertaining. On a cul-de-sac with large lot and preserves in the rear, you will have the utmost privacy in this home. Lely resort offers both private and public golfing, dining in many restaurants on property or within a few minutes drive, a state-of-the-art fitness center, full spa, tennis and 3 pools, bocce and so much more to enjoy all year long. Extraordinary opportunity to own a luxury home with all of the features of brand new, without the hassle of the new construction process. 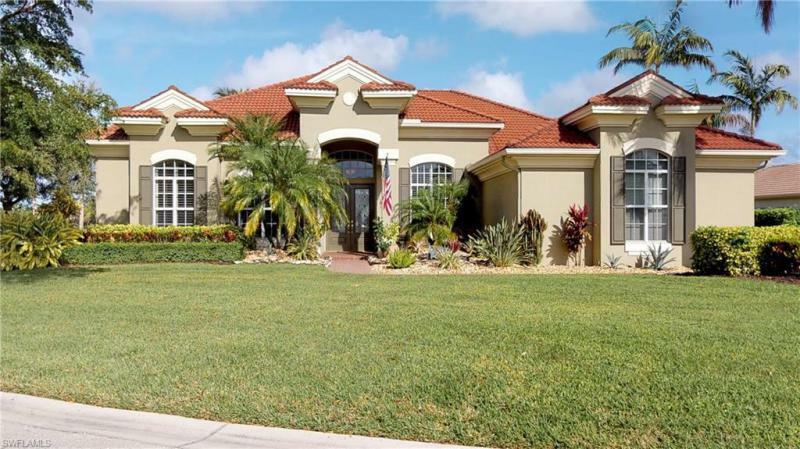 Located in a guard-gated community with no construction traffic, this exquisite home has a great room floor plan, open kitchen, expansive lanai with large covered & uncovered areas, pool & spa overlooking a gorgeous lake & golf course, impact glass, an outdoor kitchen with grill, sink, refrigerator & bar. Furnishings negotiable. Numerous upgrades in this 4 bedroom plus study, 4. 5 bath home with 3-car garage, including travertine stone floors inside & out, 14 ft ceilings, crown molding & a security system. The gourmet kitchen features stainless, high-level granite, premium cabinets, island, wall oven & pantry. The inviting master suite includes 2 walk-in closets, large shower, dual sinks & vanity. Just 15 minutes to old naples, beaches & marco island, surrounded by grocery stores, restaurants & other conveniences. Enjoy the resort-style pools, restaurants, fitness with classes & trainers, tennis program, bocce, pickleball plus a full activity calendar. Three golf courses within the community with public & private options. As of today, 4/21/2019 the average home price for homes for sale in Lely is $414,773.